Book Launch I: Lena Rose and Michelle Neita making the rounds during the launch of the book: "Jamaica's Forgotten Prime Minister" - Donald Sangster. 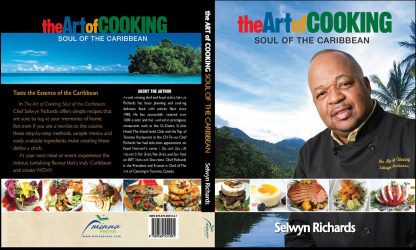 Elethia Rickham, editor of "Anansi and the Alligator Eggs"
Television interview on CMTV "Sunrise"
Interview with Chef Selwyn Richards author of The Art of Cooking: Soul of the Caribbean. Interview with Matthew Parker, author, The Sugar Barons - a new history of the rise and fall of the British West Indian empire.